The other day, I heard an Apple programmer griping about Steve Jobs. It was the usual complaint: Steve wasn't taking opinions, conducting focus groups, or performing usability testing. He wanted things done Steve's way. For years, these stories have upset me. I'm a firm believer that if something is worth doing, it's worth doing politely. There's no CEO on earth that couldn't benefit from weighing opinions, considering all options, and occasionally doling out a little praise. Yeah, OK, Steve saved Apple in a big, glorious, sustainable way; introduced some brash, bold, brilliant ideas to the technology world; and changed the course of computer design forever. But jeez--does he have to be such a bully? I came to this startling realization when I read On the Firing Line , Gil Amelio's book about his 500 days as Apple's CEO. What's most intriguing about the book is the "damn frustrating" inertia and paralysis Amelio says he found at Apple. He'd schedule a meeting: "People who were specifically invited didn't even bother to show up." He'd outline the company's strategy to department VPs: "They listened politely but did nothing." He'd make a decision: "Every time, an internal campaign would be mounted to reverse the decision." He'd try to focus the company's efforts (which included "the Newton, publishing, media authoring, servers, Pippin, imaging, consumer, K-12, the PowerBook, Copland, OpenDoc, and the Internet"): "No one would listen. Nobody would agree to give anything up." Reviewers have already pointed out that Amelio's entire book is a 300-page "Don't blame me!" statement, and that he's fishing for sympathy when he's the one who failed to save the company. But even if what he says is only half true--for example, that "everything at Apple felt like bench-pressing 500 pounds"--it tells you something: by 1997, Apple's employees had become the boys on the Lord of the Flies island. The pirate-flag-waving atmosphere that Jobs had created in the '80s had grown wildly out of control, and the ship's rudder was completely disconnected. 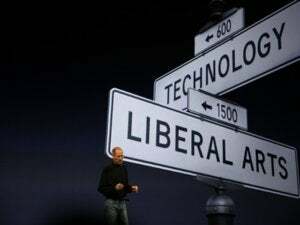 Yes, Jobs had ideas; yes, he's charismatic; and yes, he had power and influence in Silicon Valley. But those traits don't fully explain how he turned Apple's image around. And they certainly don't explain how he made the company profitable--an astonishing feat for a guy who never went to college, let alone business school. How was Jobs able to make Apple profitable where a string of experienced corporate veterans (and even "turnaround artists" such as Amelio) had failed? By being a force of nature. By cutting like a knife through the politics, infighting, and dissention of the 1997 Apple. And yes, by firing people who didn't get with the program. By moving quickly--too fast for studies, consensus, or focus groups--and making decisions on instinct and experience. He's not alone, either. Behind some of the greatest commercial success stories, you'll find single-minded entrepreneurs who knew exactly what they wanted and tolerated no argument. Titanic, the most profitable movie ever made, was the obsession of James Cameron, who wrote and directed it. Jeff Hawkins had to ram his Palm Pilot idea past legions of doubting venture capitalists, parts suppliers, and Microsoft-worshipping reporters. Linux, Survivor, Mrs. Fields' cookies, Federal Express, America Online--same story. In Inc. magazine, Harvard psychologist Steve Berglas recently called for Jobs's resignation, predicting that a desperate Apple may have tolerated Jobs, but a robust Apple won't: "When crises threaten to overwhelm an organization, the usefulness of an egomaniacal leader is unparalleled. The rules change radically, however, once a business is established . . . . No one can play the role of enfant terrible indefinitely." In Apple's case, I'm not so sure about that. It's been a year since Berglas's article, and Jobs has somehow continued to dream up more Titanics and Palm Pilots, sometimes over the objections of his engineers. (As it turns out, plenty of people at Apple thought that offering a choice of iMac colors was a stupid idea.) The iMac, the iBook, the G4 Cube, and Mac OS X never would have seen the light of day in a kinder, more consensus-driven Apple. No, I wouldn't want to work for Steve Jobs. And I certainly wouldn't want to be Steve Jobs; he's driven by demons that Wes Craven doesn't even dream about. But as long as he keeps the job, I'll be his customer--and his highly entertained audience. David Pogue ( www.davidpogue.com ) is a coauthor of the forthcoming Piloting Palm, the story of Jeff Hawkins and Palm Computing (O'Reilly, 2001) .